Andros is a well dressed tiefling sorcerer who keeps out of the way most of the time and pops up when he has to. He is good looking and charismatic and seems to have the admiration of his peers and followers. Andros is a trusted Lieutenant of “The Nine” and is therefore held in quite high esteem among that group. Because of his position, those who know of him do well to respect the boundaries set by The Cloven Nine when he is around. He seems quite affable and is thought to be slow to anger, often calming a situation that might otherwise rise out of hand. He is armed with a magical blade but it is his magical ability (supported by his infernal bloodline) that is his most dangerous weapon in a fight. Not only that, he is known to be particularly guileful and has the habit of turning up when least expected. 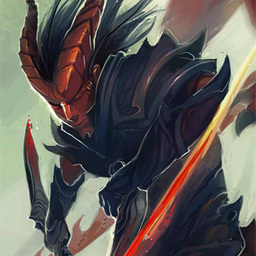 Arcael has met Andros once when his previous group had to hand over the Book of Black Confessions that had been stolen by Ilyana (tiefling daughter of Lord Graymark).